Something very big happened last week. Huge, in fact. Something that hasn’t happened in years. Finally, 15 months after Baby Connor was born, we went on a trip without our boys. 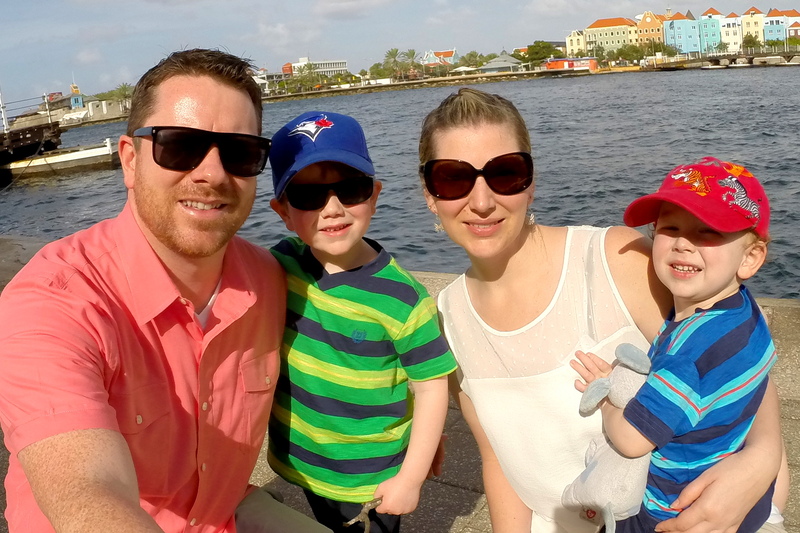 Now, don’t get me wrong – we love traveling with our boys – but let’s be honest, we also love traveling as a couple and family travel can be a lot of work at times. As you can imagine, we were very excited to have some alone time together, free from the responsibility and chaos of parenthood. A romantic getaway was long overdue. Our wedding anniversary is February 4 so we thought it would be fun to celebrate this year’s anniversary at a romantic destination. Somewhere remote and beautiful, but not too far from home in case something went wrong (okay, so there may have been a little bit anxiety about leaving our boys). We love winter destinations and ski resorts so we thought it would be fun to trade the sand for snow this year. After having such a wonderful time road tripping through Alberta this summer, we decided that winter in Banff National Park would be the perfect place to celebrate our 7th wedding anniversary. We reached out to our friends at Travel Alberta and asked them to point us in the right direction. Not only did they put together a fantastic itinerary filled with adventure and romance, they went above and beyond to make this anniversary our best yet. We had to pinch ourselves on numerous occasions. Our trip began in Calgary after a short 1 hour flight from Vancouver. We got super lucky with the visibility as we passed over the Canadian Rockies, which gave us the opportunity to capture some incredible aerial images of the endless rows of glaciers and snow-capped peaks. We felt like we could reach out and touch the peaks from our window seat. We picked up a car rental at the airport and drove 1.5 hours west to Banff National Park. Our final destination was Baker Creek Mountain Resort, an intimate mountain lodge located on the Bow Valley Parkway, about 20 minutes south of the Lake Louise townsite. It’s literally in the middle of the nowhere. 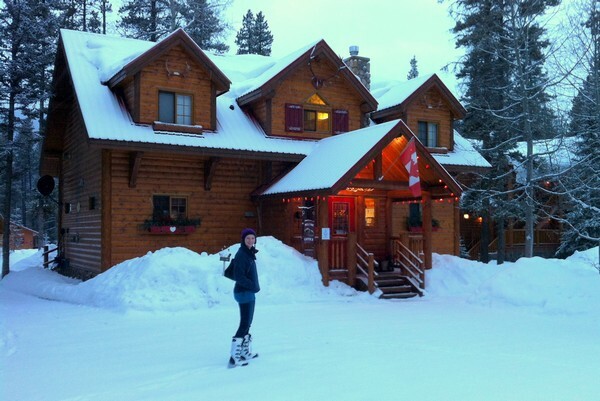 Baker Creek is family owned and operated year round, offering log chalets and lodge suites. This is our room. Rustic, elegant and super comfortable. Bonus! Our room has a large in-suite jacuzzi. It got plenty of use during our stay. This is the view from our balcony. This is what the balcony looks like. A thoughtful welcoming gift for our anniversary. Note the classic red room key. When was the last time you used a room key? Shortly after we arrived at Baker Creek we were off on our first adventure – a guided snowshoe hike with Great Divide Nature Interpretation. Our guide Joel navigated us through thick forest and windy trails to a remote frozen lake just in time to watch the sunset over the majestic Canadian Rockies. Delicious homemade treats and hot tea were enjoyed as we watched the sun gradually disappear behind Mount Temple and the Valley of the Ten Peaks (the same mountains you see at Moraine Lake, Canada’s most picturesque lake). The mountains above are the Valley of the Ten Peaks. It was fun to see them from a different perspective. We’ve seen hundreds of photos of these mountains behind Moraine Lake, but never from this distance. What a sight! We returned to Baker Creek and enjoyed a wonderful meal beside a crackling fireplace at the lovely Baker Creek Bistro. It was the perfect atmosphere and a great way to end our first day in winter paradise. We began our second day with fresh coffee and breakfast by the Baker Creek Bistro fireplace. I can’t think of a better way to start the morning? 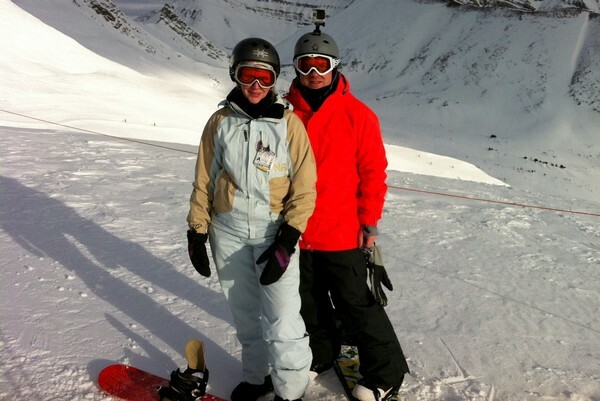 The plan for the day was to snowboard Lake Louise Ski Resort, located about 20 minutes north of the Baker Creek property. That’s one of the things we really like about Baker Creek, it’s secluded deep in the mountain wilderness, yet all activities can be reached within 20 minutes. We arrived at the mountain just as it opened and met up with our ski host for the day. 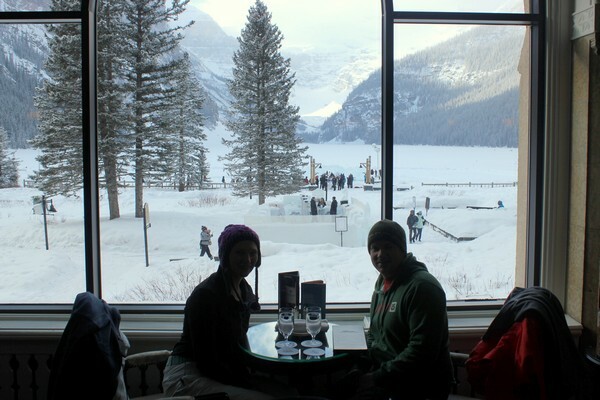 Lake Louise provides all of its guests with a complimentary ski host service. Our Ski Friend for the day, John, is a retiree from Ontario that spends his winters living in nearby Canmore and skiing Lake Louise 3-5 times a week. 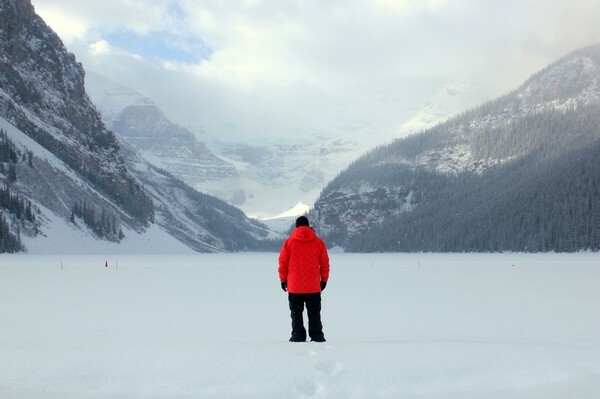 The Lake Louise Ski Friends program is such a great service, especially for first time visitors that want to discover as much mountain terrain as their legs can handle. It’s also a fun option for single skiers/snowboarders that don’t have someone to explore the mountain with. We were impressed by the number of restaurants and lodges on the mountain. The mountain was quite busy that day, yet we never felt like there were big crowds or line-ups. The good people at Lake Louise Ski Resort hooked us up at the newly renovated Whitehorn Bistro for lunch. Located at 6700’ (2042m) above sea level, this full service dining restaurant serves us some of the best views in all of Lake Louise. The host at Whitehorn Bistro reserved us a window seat and ensured that our anniversary lunch was an outstanding experience. It most certainly was. A fun event that the Whitehorn Bistro hosts on special occasions is the Torchlight Dinner and Ski. Basically, you head up the chairlift just before the mountain closes for the evening and meet at the Whitehorn Bistro for drinks, appetizers, live music and dancing. Then, everyone puts on a head light and skis down a freshly groomed run in the pitch black darkness. Once everyone reaches the bottom a full course dinner is served at the Sitzmark Lounge, followed by more music and dancing. It looks like such a unique mountain experience. Here’s a short video if you’re intrigued to learn more. The Rocky Mountain landscapes at Lake Louise Ski Resort are some of the most spectacular we’ve ever witnessed on a ski mountain. 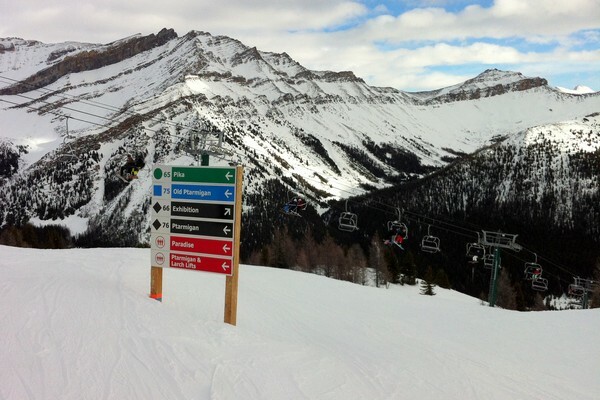 With 4200 skiable acres, Lake Louise is one of the largest ski resorts in North America. The ski resort spreads across the front and backside of the mountain peak, which creates a variety of snow conditions and terrain. Here’s a view of the base lodges and gondola. To my right (and a little higher behind me) is the the Lake Louise Showtime Terrain Park, said to be one of the largest in Western Canada. Obligatory couples shot from the Top of the World. You can ski down the front or backside of the mountain summit from this section. For our ‘official’ anniversary dinner we dined at the Deer Lodge, located next to the Fairmont Chateau Lake Louise. The entrance to the restaurant has several frozen ice sculptures and an ice bar. It was about -15 degrees Celsius that evening so we snapped our photo and ran inside to sit by the warm fire place. This was the first quiet romantic dinner we’ve had in over a year. The restaurant was dimly lit, the red wine was flowing and the atmosphere was perfect. We were seated at a window that looked over an ice sculpture of a long-horned sheep and, just as we sat down, it started to snow. We began our evening by splitting this delectable mussels appetizer. Cheers! The food at the Deer Lodge is outstanding. Take me back there, right now! For desert, our server surprised us with an anniversary platter of sweet goodies. A wonderful finish to a wonderful evening. We woke up early the next morning and checked out of the Baker Creek Mountain Resort. 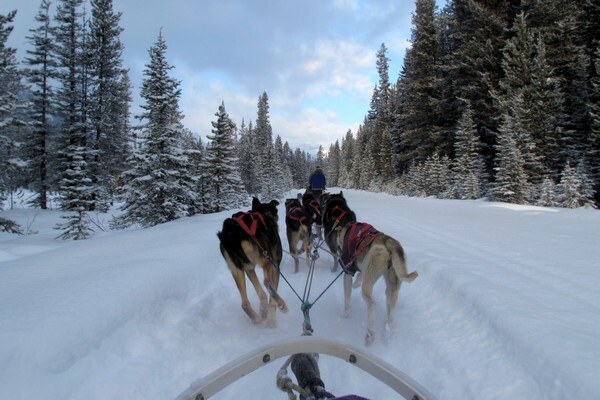 We had a full day of adventure ahead of us that began with a 16-km dog sled tour through the Kicking Horse Pass at the Continental Divide, the point where Banff National Park in Alberta meets Yoho National Park in British Columbia. 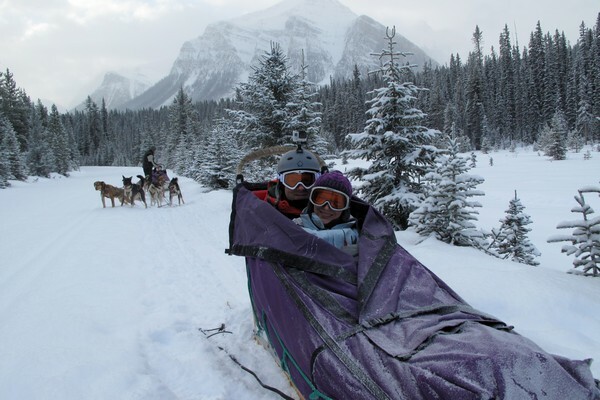 We went with Kingmik Dog Sled Tours, the only company to offer dogsled tours in Banff National Park. Lucky for us, over 10 cm of fresh snow had fallen over night. Yeah for snow! 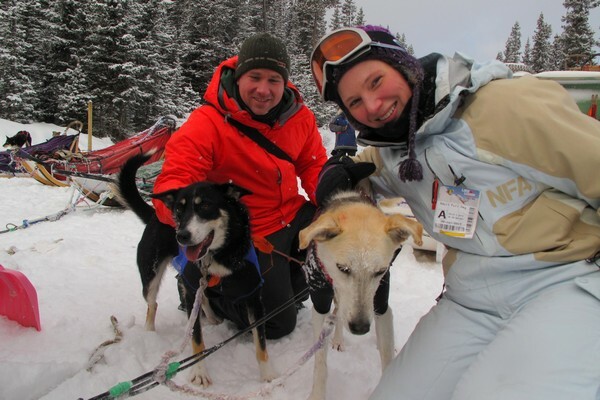 We went dog sledding for the first time a few weeks prior, on our visit to Jasper, but it was only a quick taste of the dog sled experience. We zipped around Pyramid Lake for 10 minutes and then it was over. It was fun, but far too short. 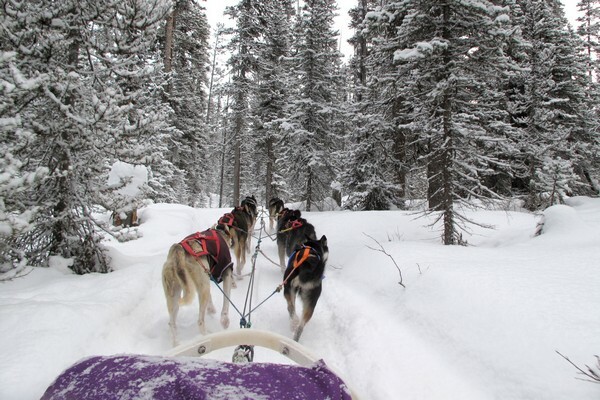 This Great Divide Tour with Kingmik Dog Sled Tours is the real deal. We bundled up under blankets and flew through the forest, surrounded by stunning snow capped peaks. They call this section of trail “Narnia”. We even made a few new friends. 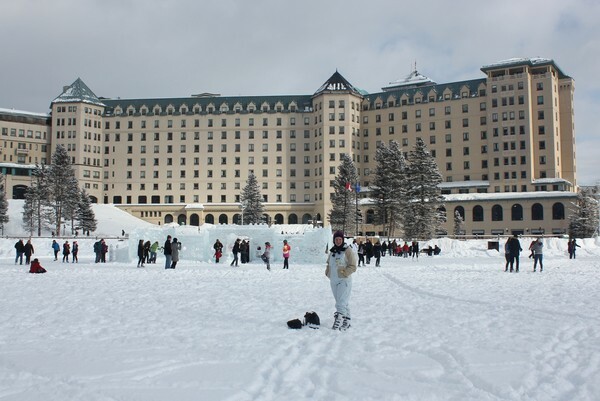 After playing in the snow for the morning with the dogs we headed to the iconic Fairmont Chateau Lake Louise. Once again, we were spoiled with front row window seating at the Lakeview Lounge. This time, we overlooked the snowy frozen lake and legendary Victoria Glacier. Seriously – can you get a better table view? Outstanding! Rocky Mountain Antipasto Platter – definitely do it! Two tall glasses of Rutting Elk Red by the Grizzly Paw Brewing Company. Delicious Atlantic lobster & baby shrimp croissant. And for desert, we were surprised with this decadent platter of cakes, chocolates and sweets. It was an unexpected, thoughtful and much appreciated. We had to peel ourselves out of our chairs when we were finished. … and soak up the breathtaking views. It became very clear why Travel Alberta’s new slogan is “Remember to Breathe”. And, of course, we had to make a quite stop at the ice bar! No, no, it’s not what you think. The bottles are closed. This was all for the photo! We left Lake Louise mid-afternoon and drove east to the town of Banff. We checked into our new accommodations at Hidden Ridge Resort, a quiet and secluded property located on Tunnel Mountain, about a 10 minute drive from downtown Banff. We stayed in a spacious 2 bedroom, 2 level townhouse with an in-suite Jacuzzi, full kitchen and wood burning fireplace. The fireplace was a clear highlight for us. There’s something about a real crackling fireplace in your room that just feels like winter heaven. We quickly dropped our luggage in our room and drove up to the Banff Upper Hot Springs for a soothing outdoor soak. The steamy hot mineral water is kept between 37ºC and 40ºC or 98ºF and 104ºF, which is needed when it’s that cold outside. I went under water and 5 minutes after my hair began to freeze up. After a quick bite and pint of craft beer at the Banff Avenue Brewing Company, our favourite casual restaurant/pub in Banff, we met up with Discover Banff Tours to do the Johnston Canyon Icewalk at night. With only a headlamp and the night stars guiding us, we ventured to the lower ice falls at Johnston Canyon. It was so cool to be walking the trail at night. Not only did we have the entire place to ourselves, the moonlight rays and sparkling stars created an atmosphere unlike anything we’ve experienced. On the way back from the frozen waterfall our group turned off all headlights, using only the moonlight to guide us along the trail. It was quite icy on some sections of the trail, so our guide encouraged us to sit on our bums and slide down the trail. We all felt like little kids on a snow day. It was a lot of fun. The next morning we woke up and had a wonderful couples massage at Cedar & Sage Co, a locally owned and operated holistic health treatment centre. It was the perfect exclamation point to a fabulous anniversary retreat in Banff National Park. This was by far the best anniversary we’ve ever had. It is going to be incredibly difficult to top this one. Snowshoeing, snowboarding, dog sledding, ice walking at night, five-star dining experiences, rustic mountain lodge in the heart of the Canadian Rockies, in-suite jacuzzi, crackling fireplaces, hot springs, no television… shall I go on, or is all this gushing making you sick? 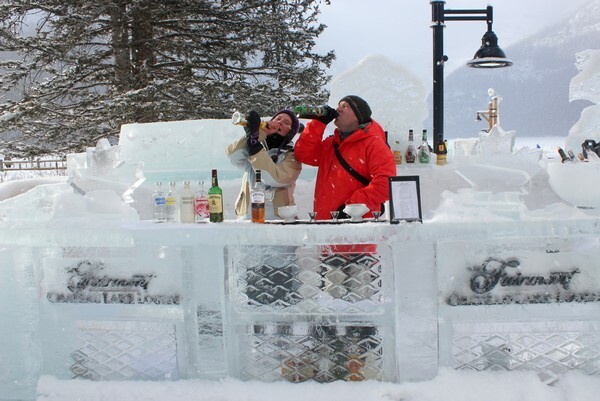 If you’re looking for a special romantic getaway in the winter, we highly recommend you trade the sand for snow and experience winter in Banff and Lake Louise. It truly is a magical place under a blanket of snow. 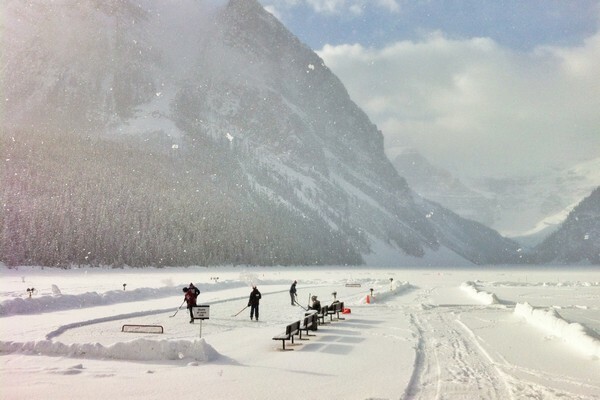 Have you visited Banff or Lake Louise in the winter? Share your experience and recommendations in the comments section below. Awesome post! Looks like you two had a blast. 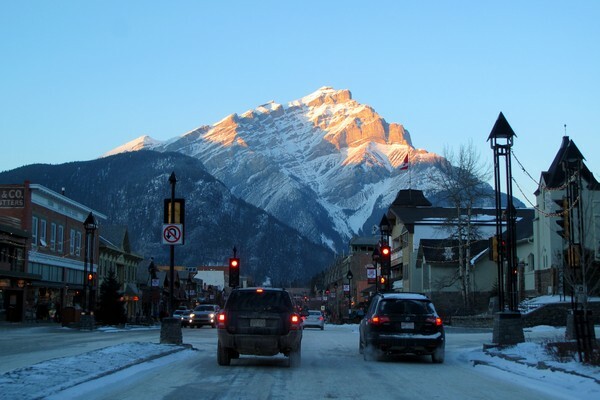 I visited Banff many summers ago, but have been meaning to go back. Going there in the winter looks magical! Thanks for the inspiration haha. Happy anniversary guys! It looks like it was a great one! Thanks Ross! It’s such a great spot for couples. We loved the dog sled tour too. Very cool experience. Thanks Kenin! It’s certainly going to be a tough one to follow… we may have peaked early! Looks gorgeous. Happy anniversary you two! We’re heading to Banff/Lake Louise in two weeks. I can’t wait to have fun in the winter wonderland again. And I love that we’re going the 1st of march, we were there last Christmas and it was freezing. I think it will be better closer to Spring. What do you think? Sounds fun! It’s become one of our favourite spots in Canada. So much to see and do. Hopefully the weather will be good for you, but it’s anyone’s guess. We arrived shortly after record highs for January, so who knows! 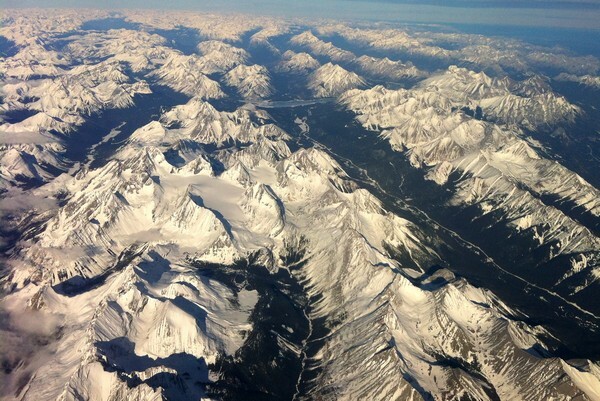 I’m thinking Banff must be prioritized for next Winter. It’s been on my list forever. Those cabins look so cosy, these kinds of holidays are exactly what you need in winter. This looks magical! As a Calgarian I have visited Banff and Lake Louise multiple times. Deer Lodge is stunning all year round. The rooftop hot tub is to die for with a view you can’t beat. Would love to do the ice walk in Johnson’s Canyon though! Happy belated anniversary. Your trip looks magical, Happy Anniversary Cam and Nicole, even though belated. Wow, it sounds like you guys had an amazing trip! 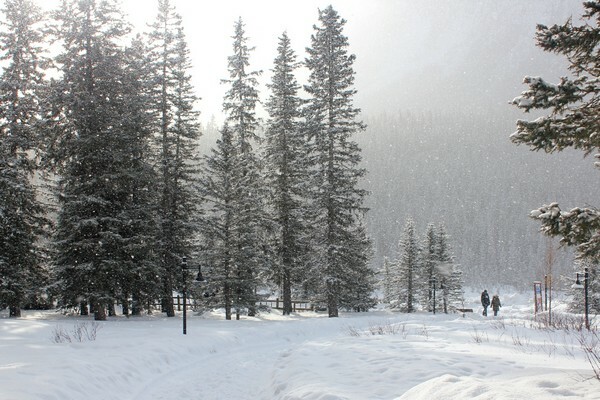 The views are absolutely stunning; Banff really does look like a winter wonderland. Great post, I really enjoyed reading about your adventures! Gorgeous photos! I’m from Canada, but living in Australia – these photos totally make me miss home! Looks like you guys had a magical time. These pictures are so lovely. Now I really want to travel there and try out the Rocky Mountain Antipasto Platter. Happy anniversary to you guys. This trip looks amazing! We have set the date for our first trip to Banff and my first ski trip. I am from Texas, do you have any recommendations on how to prepare for a trip like this? In terms of warmth, what will I need? Thank you! Exciting! You’re going to have a great time. It’s such a fun place in the winter. In terms of preparation, it really depends on what you are doing. For skiing, I would make sure you have a first layer and fleece, a neck warmer is a good idea, proper socks, and proper ski gear. It’s not that cold, but I’m Canadian, so I suppose that’s a matter of opinion!